In January 2016, it was announced that Bristol was one of four major cities to receive a grant (in our case £7.5m) to promote the use of electric cars and other ultra-low emission vehicles. To me this seems a huge sum of money and I feel it should be spent carefully. I have now had a Nissan LEAF electric car for six months so I took an interest in this announcement and tried unsuccessfully to find out how the money will be spent. And to have an input on behalf of Sustainable Redland. Our LEAF does about 80 miles on a charge and has already been superseded. 2017 will be the year of the electric car with several manufacturers promising 200 miles or more on a charge. Whilst not a complete solution, electric cars can play a role in reducing CO2 emissions, improving urban air quality and in decreasing reliance on oil, which all too often seems to fuel conflict. In my six months of ownership, I’ve discovered that the car works fine but the charging infrastructure (especially in Bristol) doesn’t. Most of Bristol is terraced houses or flats and so residents are unable to get an electric car off the road to charge from a domestic socket. Public charging points are in car parks and who in their right mind is going to pay repeated parking fees when they only live around the corner? Another problem is the variety of cards and mobile phone apps that are needed, often with different subscriptions. Frankly, it is a nightmare. One year later, we still don’t know how Bristol will spend its £7.5m. Or whether there will be a genuine consultation about some of the basic principles. If Bristol really wants to make life easier for electric cars, some of the money needs to be spent on public charging points. Amsterdam can do it, so why not Bristol? 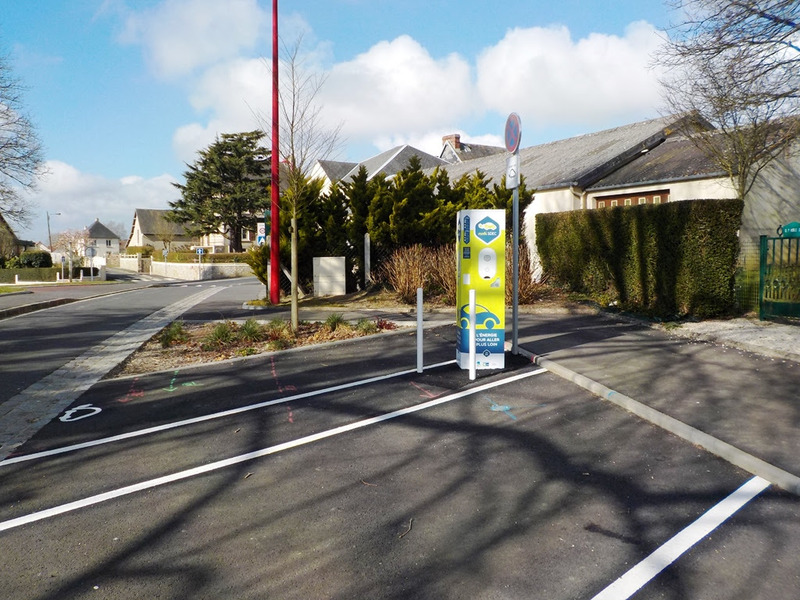 And even in small French villages there are now electric charging points in public spaces. And the card problem? Also to be sorted in Normandy with the installation of contactless payments using a credit card just as you would pay for any other purchase. Rural France and Amsterdam first – Bristol next?